We all have a little sunshine mixed with hurricane in us from time to time. 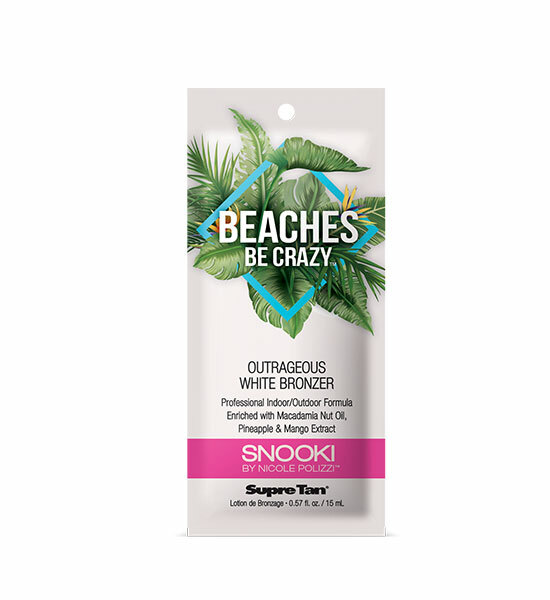 Snooki’s Beaches be Crazy Outrageous White Bronzer will have you stepping out feeling confident with gorgeous dark bronze skin that will make you cuckoo for its color. The Intense hydration and anti aging benefits of Macadamia Nut Oil, Pineapple and Mango Extract help diminish the look of fine lines and drying skin keeping you looking oh so fresh. Don’t be afraid to be a fruit loop in a world of ordinary cheerios.